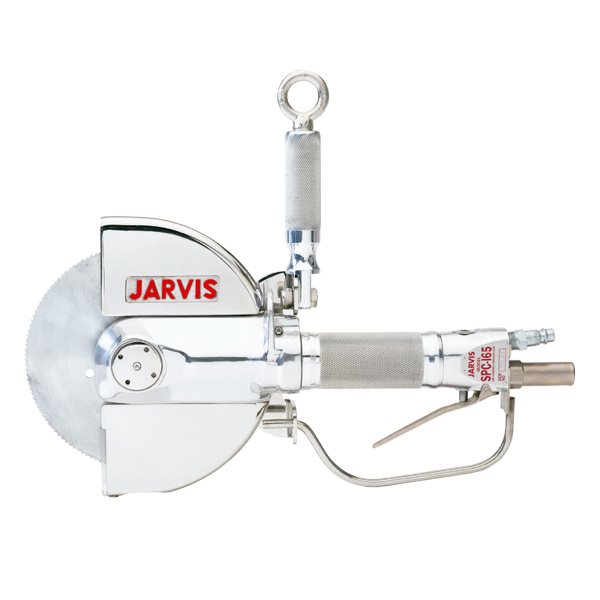 The Jarvis Model SPC 165B – hydraulically powered hog brisket saw. • The SPC 165B cuts hog briskets quickly and accurately. • Lightweight and flexible – allows operators to open briskets up to 250 hogs / hour. • Heavy duty gears hold up under the harshest processing conditions. • Aluminum and stainless steel construction for optimum hygiene. • Meets national and international requirements for hygiene and safety. USDA and CE compliant.